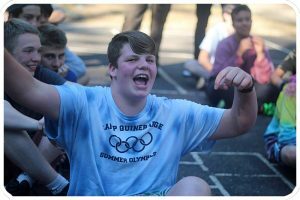 During our 8 week long season, Camp Quinebarge provides a safe and fun environment for campers to do things they never thought they could and to make everlasting friendships . Quinebarge provides 5 activity periods a day, an all camp swim and a evening activity. Providing your camper a jammed packed day with fun under the sun is our number one priority. We hear that our evening activities are apart of what make Quinebarge a premier overnight camp. What is an Evening Activity ? One of the greatest aspects of evening activity is that they involve the whole camp. Campers play or work with all of their peers, regardless of age or gender, allowing them to bond with children who aren’t in their cabins or normal activities. Working toward a common goal helps campers bond, creating new friendships. 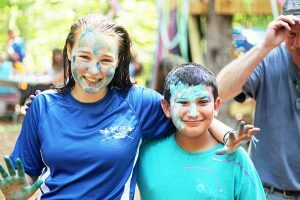 By the time they go home, campers have done more than learn new skills and have an absolute blast at their activities – they’ve made friendships that they will carry for the rest of their lives.